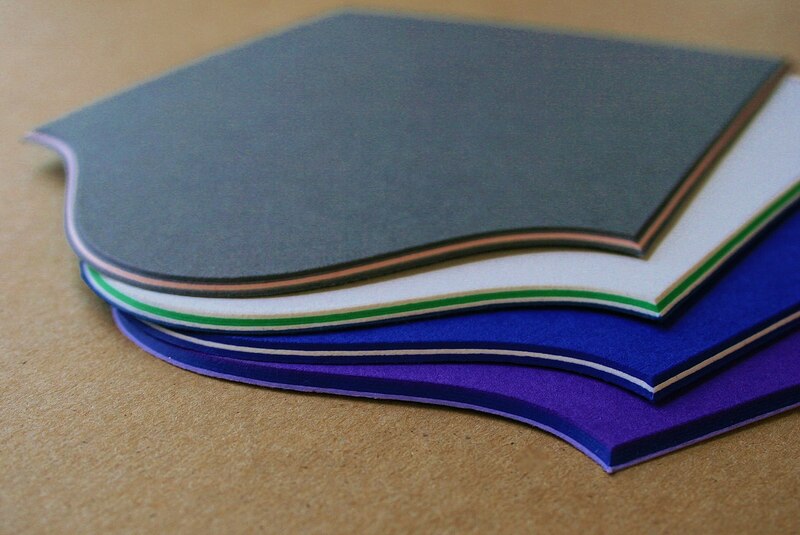 Laminating, or pasting as it is sometimes referred to, is the simple process of gluing two or more sheets of paper together. This process can encompass multiple purposes in the arena of fine stationery. Laminating/Pasting creates thickness and dimension, and also allows for your design concept to move beyond the initial surface of the piece. 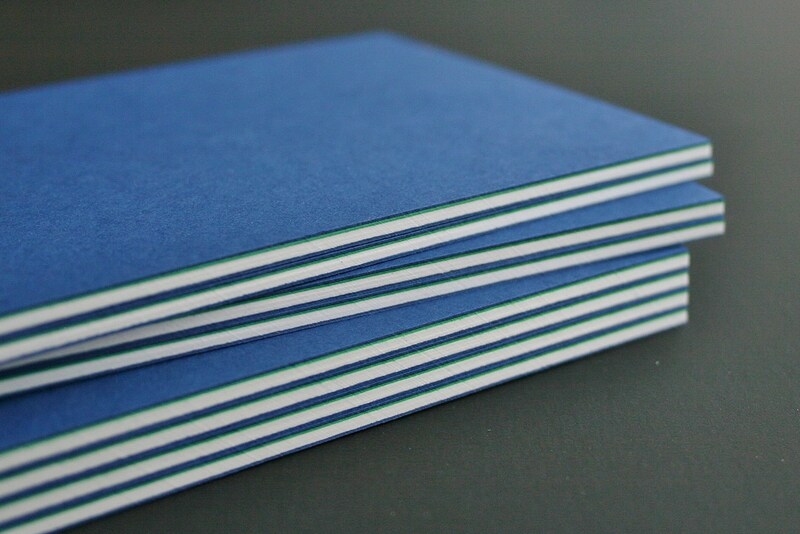 Low cost filler paper can be added to the center to create thickness, all while keeping costs to a minimum. 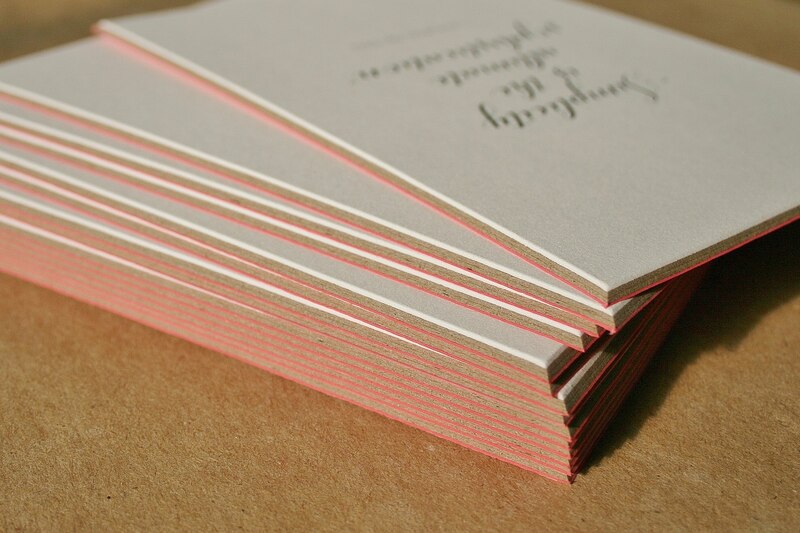 Textured or colored papers with or without print can be glued to the back for added effect. Most often, Laminating/Pasting precedes the application of one of our other services. Click on our Gallery tab to see how the services listed below can further enhance your stationery project.